I have lived through a lot in my life. And it hasn’t always been easy. From a difficult childhood, to an abusive ex-husband of 14 years, to even ending up in a homeless shelter. None of that has held me down. I won’t let it! Nothing has kept me from working towards a better future- and to designing for myself and my family a life we love. If you want something, go after it. If you have dreams, work for them. 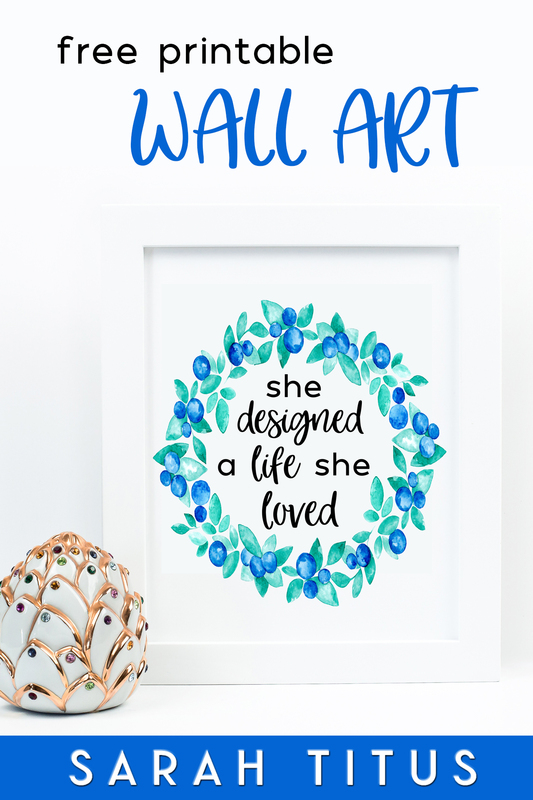 That was the inspiration behind creating this she designed a life she loved printable. I want to remind EVERYONE, that we are in charge of our futures (along with the sovereign will of God, of course). Life can be rough. Things happen to us that are bad, that are hard to make it through. But, you don’t have to sit down and take it, or become bitter about it and ruin your life. If you dream of the life you want and you are willing to work hard, you will reach your goals. You will make your dreams come true. You can design the life you love. I have done it- (you can even read here about why I am so happy all the time!) and I know if I can do it, with all that I’ve been through, you can too! I’m a single mom of two beautiful children, and all I have every wanted is to be home with them. But after my ex-husband abandoned us and I ended up in the homeless shelter, everyone said that was impossible. I started out reselling for several years and then God convicted me to start blogging, which changed my life forever. Within my first year blogging, I was making $10k/month. Within my second year blogging, I was making $23k/month. Now my third year blogging, I’m making $75k/month. This has allowed me to be where I want to be- home with my kids and serving others, the two biggest passions in my life. 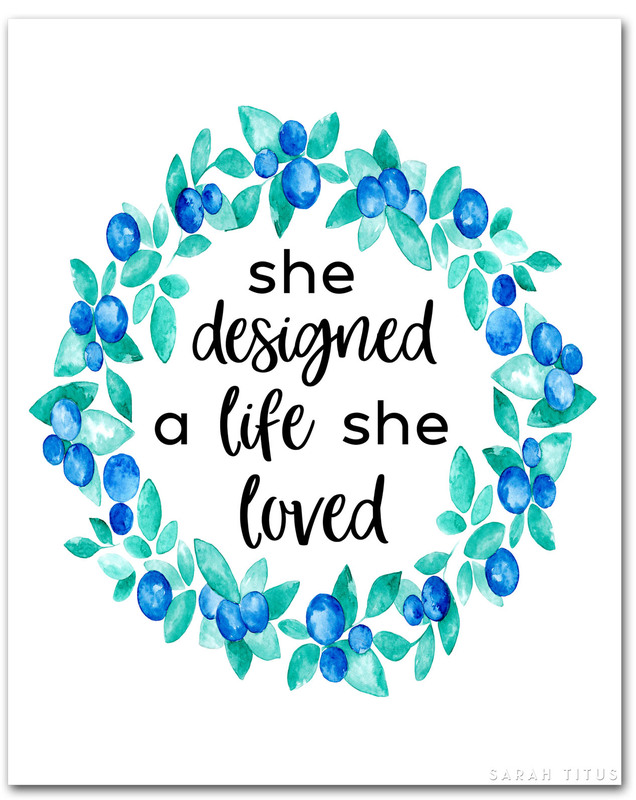 It does not matter where you are today, I believe in you and I am here to support YOU in designing and creating a life that you will love to live! Print this printable out and put it in a beautiful frame. Hang it on your wall. Place it on your desk. Put it ANYWHERE you need the motivation that YOU CAN DO IT! Here’s a link to the white frame I have (seen in the picture) and here’s a link to a black frame I have similar to it. 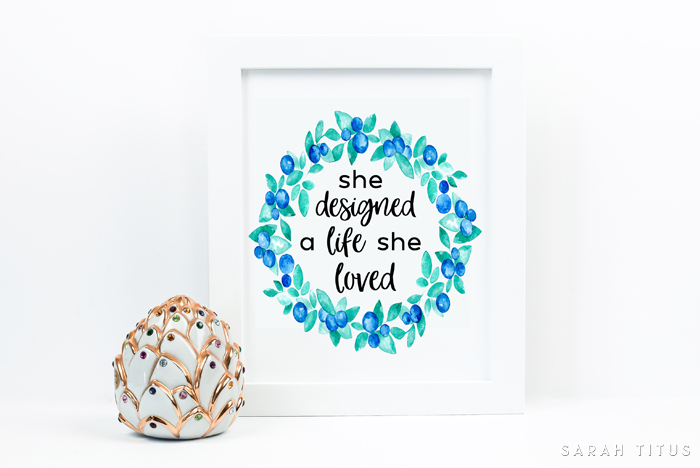 Download She Designed A Life She Loved Printable here.